Here are Barbados attractions not to miss on your vacation! Spend a day exploring Harrison’s Cave, admire cruise ships at Bridgetown Cruise Port, dive into the turquoise sea to explore the Stavronikita Shipwreck, mingle with freely walking animals at Barbados Wildlife Reserve, or taste or learn everything about rum at the oldest rum distillery in the world - Mount Gay Rum Distilleries. 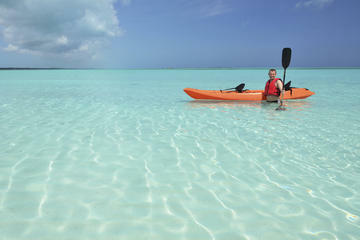 Whatever you decide to do, you will have a lot of fun with the Barbados points of interest! 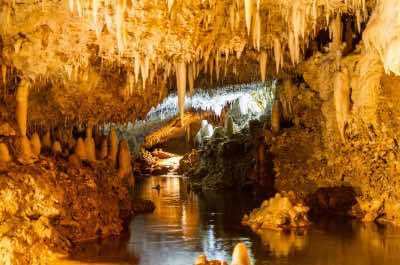 Harrison’s Cave is the most famous Barbados attraction and one of the best points of interest, locally known as one of the ‘Seven Wonders of Barbados’. The caves offer a mesmerizing display of stalactites and stalagmites in many crystallized limestone caverns. The caverns are a mysterious wonderland of subterranean tunnels, dark streams, cascading waterfalls and inviting emerald-green pools. Take a tour which starts with a unique tram ride down into the depths. The knowledgeable guide will provide geological information as you learn about the cavern’s pools, waterfalls and speleothems. You will see the main area of the caves known as The Great Hall which measures over 50 feet in height. The tram then takes you to The Village. In this section some of the formations have joined together to form columns, a process that has taken thousands of years. You will also see exquisite caverns called The Chapel and The Altar. Wear comfortable walking shoes. A hat is recommended to keep the never ending overhead drips from making you wet. 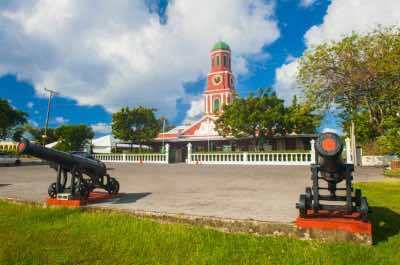 When in Bridgetown, the capital city, another interesting Barbados attraction to visit it the Bridgetown cruise port. It is situated a mere 5 minute taxi drive away from downtown. If you are not in a hurry and want to soak up the scenery, there is a board walk that runs through the town, all the way down to the Port. The walk takes about fifteen minutes. 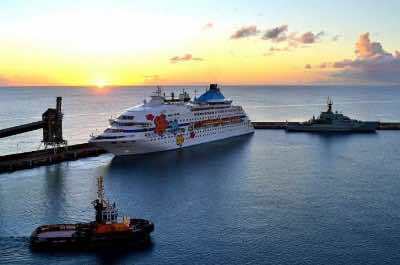 The Port is a hive of activity, handling almost three quarters of a million cruise passengers every year. It is also a busy container port for the area. Huge luxury cruise ships arrive and depart for surrounding islands and destinations further afield. 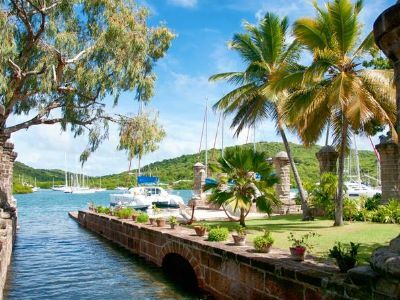 See luxury yachts and small boats as you stroll along the water front with stunning age-old Colonial buildings in the background. Many major cruise lines like the famous Royal Caribbean dock at this port. Take a short cruise around the Port in a boat, it is a fabulous experience! When you are in the northern part of the island you will discover another fabulous Barbados attraction. The Animal Flower Cave is located in the parish of St. Lucy. It was discovered in 1780 by two English explorers who saw an entrance from the seaward side and were brave enough to enter. The name comes from the beautiful sea anemones found in the pools of the cave. When you are inside there are spectacular scenes as you look outwards through the massive rocky openings to the ocean beyond. 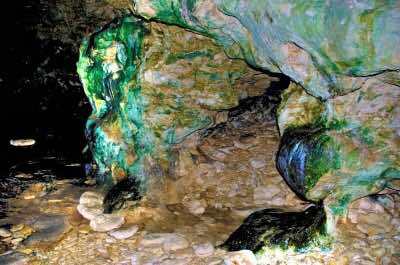 The walls of the Cave are covered with interesting formations coloured in tones of green and brown caused by the oxidation of copper and iron in the rocks. Wander around and look out for formations that resemble a lizard, a turtle and hand prints. Lovely tranquil pools invite you in for a dip, for the brave perhaps? When you exit the cave, be sure to stop on the cliff top above it. There is a restaurant serving the best lemonade in Barbados as well as a range of local traditional dishes. Kids can play in the playground and you can browse stalls selling local jewellery, art and crafts. Sit, relax and soak up the panoramic views where the huge Atlantic waves crash against the cliffs. This famous cave features in the well known soap opera, The Bold and Beautiful! Deep sea divers will be enchanted by the amazing choice of Barbados underwater attraction. Shipwrecks are littered along the coast and make enchanting diving sites. The Stavronikita is probably best suited to more experienced divers. The dive is over 100 feet deep, so you need to know what you are doing. This 22 year old Greek freighter ship was deliberately blown up and sunk in 1977. The ship had a sad history. It caught fire and the stranded crew could not use the burnt out radio, drifting haplessly on the seas for four days before being rescued. Today however, it is a magnificent dive site overflowing with natural marine life, beautiful corals, lion fish and massive turtles. Many divers return again and again to experience the beauty and excitement of this dive. There are a selection of dives offered by local guides or you can go it alone. 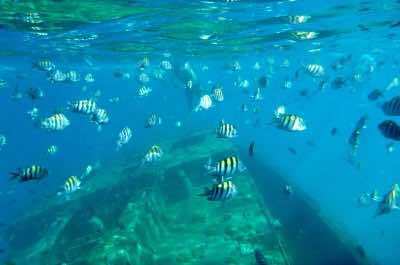 Swim inside the enormous well preserved hull of the ship for an experience that will create a lifetime of memories about this Barbados point of interest! When planning visiting Barbados attraction with the family, don't miss out on a visit to the Wildlife Reserve. If you have never heard of or seen an agouti, now is your chance! The Reserve functions like a walk-through zoo where the animals wander around freely. Walk along the meandering paths and watch the animals playing and eating. Be on the lookout for the small agouti, cute little forest dwelling rodents, and the famous green monkeys, native to this region. You may be lucky enough to spot some Brocket deer. Birds watchers will be enchanted by the aviary which holds macaws, cockatoos and parrots and the peacocks and pelicans that strut around. 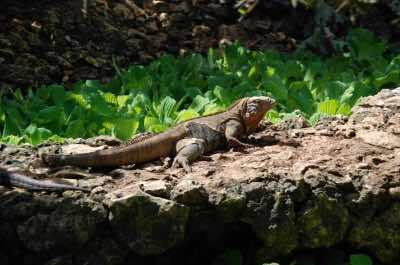 Don't miss the lovely Orchid display and the iguana sanctuary. Try to visit around 2pm when the animals are fed. The reserve is open daily between 10am to 5pm, if you want to include the visit to Signal Station, you must check in before 3pm. 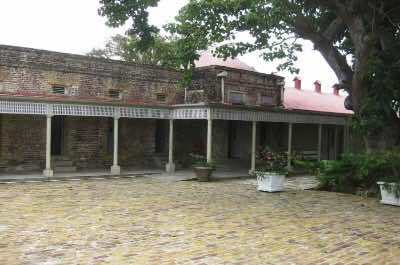 Historians searching for Barbados attraction must spend time at St. Nicholas Abbey. This beautifully restored mansion is one of only a handful of authentic Jacobean style buildings that remain intact in the western hemisphere. The red roof and Dutch style gables will enchant. The Abbey was built in 1660 and stands on the original sugar plantation. Take a free guided tour which starts inside the home. Walk around and admire the authentic Chinese Chippendale staircase, rare antiques and porcelain vessels. Then go outside into the sugar plantations to explore the age-old processing plant and the iconic rum distillery, famous for St. Nicholas Abbey Rum. After your tour, relax and watch a documentary from the 1930s telling the story of life on a sugar plantation. Lunch is offered at the Terrace Café and must be washed down with a glass of Rum Punch. Spend the afternoon on Cherry Hill, admiring the panoramic views over the island's east coast. 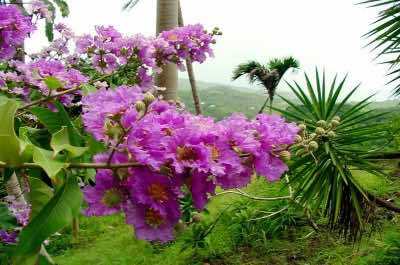 An enchanting, exotic flower offers another Barbados attraction. 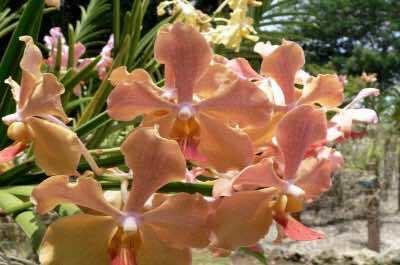 The Caribbean is famous for Orchids and at Orchid World nature lovers will be thrilled to discover over 20000 of these magnificent plants. The park is located amongst the sugarcane fields in the heart of the countryside. The beautiful setting has many vantage points, allowing you to take in the magnificent views. The design is landscaped and a series of meandering paths allow you to take a self guided tour. On the walk you will pass a beautiful coral grotto and a waterfall. Cameras are a must! The end of the walk leads indoors into five orchid houses. Stop along the way and relax on one of the many benches provided. The peaceful atmosphere and the eye-catching display of these rare plants will thrill. Look out for the Schomburgkia, which blooms only once a year. Will amazing point of interest will leave an unforgettable impression. Wheelchair access is provided in some areas and umbrellas are also available. 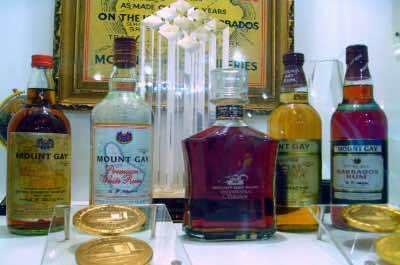 Sip some age-old Rum at the iconic Barbados attraction - Mount Gay Rum distilleries! The island is considered to be the birthplace of this famous drink which is an integral part of its culture, traditions and history. The Mount Gay distillery, founded in 1703, is thought to be one of the oldest in the world. Seafaring men have stopped here to sip the ancient amber coloured liquid for more than three centuries and you can do the same when you visit the Mount Gay Visitor Centre. An educational tour will teach you how sugarcane is fermented into rum. You can watch the bottling process and learn how the bottles are prepared for world-wide shipping. A documentary on the history of Mount Gay is fascinating. Afterwards, relax in the tasting room and sample some of the Rum varieties, spiced with notes of almond and vanilla. Make sure you buy a few bottles of this award winning Rum to take home. Golfers will be delighted to know that playing a round of golf is one of the popular pastimes in Barbados. The island offers a range of world class golf courses with magnificent views. 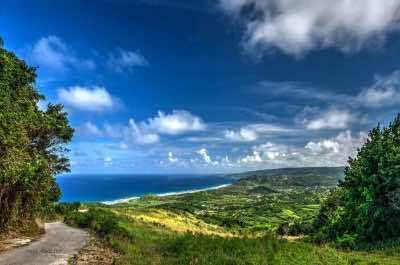 The Apes Hill Club, Orange Hill, is set in the centre of Barbados, amidst a diverse landscape of dense tropical forests and rolling meadows. At almost 1000 feet above sea level, the course also offers the most spectacular views. This Club is a trend setter with its state-of-the-art facilities and a design which aims at preserving the natural surroundings. For those who want professional style golf, head for the Country Club at Sandy Lane. 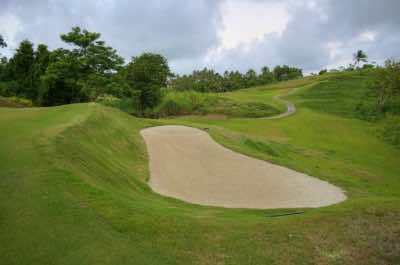 This course offers PGA Tournament quality courses and is immaculately maintained. For something less serious and offering a great value round of golf, set off to the Barbados Golf Club in Christ Church Parish. Lovely views and the clubhouse restaurant makes great pizzas! Dress up for a day at the races in Bridgetown! It is another one of the fabulous Barbados attractions. 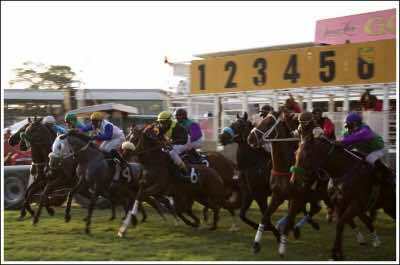 The Garrison Savannah, Barbados Turf Club offers a charming Colonial vibe with a well kept racetrack that delights both the locals and tourists. Although the Club was only established in 1905, the venue has been the home of horse racing since 1845. Officers of the British Regiment used the parade ground to race their horses with the wealthy merchants and planters joining in. Today it is one of the most vibrant entertainment attractions on the island. Set off and do some betting. Sit in the stands and watch the horses thundering past. Then head off to the lovely grounds surrounding the track and and have a family picnic in the shade of the tall trees. Be tempted by the local dishes on offer like rice and stew or pudding and souse. When you get thirsty, try the refreshing coconut water, an ice cold beer or a glass of the iconic Barbadian rum. 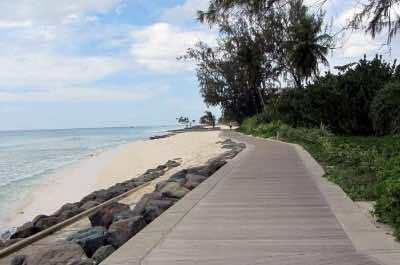 Constructed amidst some controversy, the South Coast Boardwalk has now become a much loved Barbados attraction. Concerns over how it would impact the environment are a thing of the past and this lovely walkway made from solid wood bolstered with granite rocks, blends perfectly into the scenery. This is the trendy meeting place for locals and tourists. You can stroll along, jog, ride a bike, roller skate, push a baby stroller and watch serious runners training. You may even spot a celeb or two. The fast food outlets along the Boardwalk offer some of the best views on the planet! Grab a bite, relax on one of the many benches and soak up the atmosphere. When you have had your fill of nature, set off for the thrilling Barbados attraction - the Concorde! The Barbados Concorde Experience is the final resting place of this iconic air plane, known as Alpha Echo, and will thrill those who love technology and invention. The Concorde flew regularly from Heathrow to Bridgetown, so this is a fitting resting place. 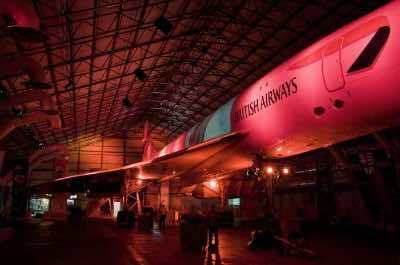 The original plane is housed in a modern museum where you will be given a guided tour. Watch a movie and learn about how the cutting-edge technology was developed and how it differed from other aircraft of the times. You will then walk down a red carpet and into the plane to take a seat. Knowledgeable guides will answer your questions. You can even sit in the seat that Her Majesty occupied. This experience will bring back nostalgic memories for the older guests and will thrill the youngsters, making it an ideal Barbados point of interest for the whole family. Make sure you buy a miniature Concorde to take home. Photo by Gouldy99 on Flickr. Just when you think you have seen it all, here is another fascinating Barbados attraction and the best Barbados point of interest. 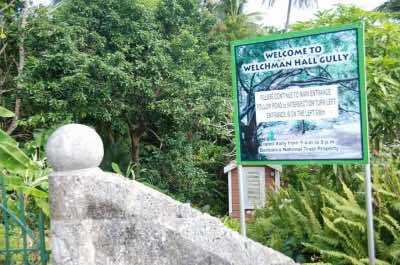 The Welchman Hall Gully is situated in the parish of St. Thomas. This enchanting landscape was formed by collapsed caverns that became overgrown with natural vegetation. Geologically it is connected to the Harrison’s Cave mentioned previously. The gully extends for three quarters of a mile and is filled with a mesmerizing array of tropical plants, trees, flora and fauna. Here you will find exotic nutmeg, bamboo, cloves and palms. Collect your information leaflet and set off to explore. Good walking shoes are a must! If you come in the morning, there are daily feeds for the green monkeys that will thrill the kids. You are also likely to spot ducks, grouse and lizards. The Gully has a distinct pre-historic feeling and you may feel like you have arrived in Jurassic park! Each garden on the Island has its own unique character and ambiance, so don't ignore this as yet another garden. 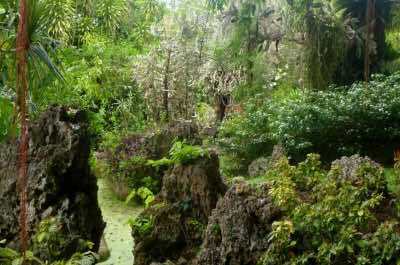 The Andromeda Botanic Gardens is definitely a day outing and is another great Barbados attraction. 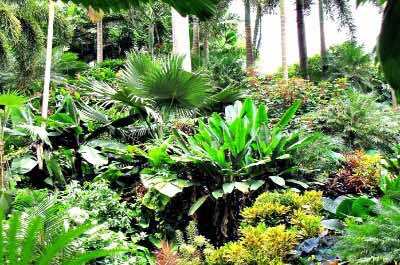 It is located in the parish of St. Joseph and covers 6 acres, offering a stunning display of orchids, ferns, heliconia, palms, begonias, cacti, hibiscus and bougainvillea. The setting is further enhanced by a delightful stream running through the garden that tumbles over waterfalls and forms enchanting pools. Collect your information sheets at the reception and set off to explore. The paths are perfectly maintained and well documented. Don't miss the impressive Bearded Fig Tree! There are 3 self-guided tours, the longest taking just under an hour. If you need to rest, relax on one of the many benches and admire the stunning views. Located in Holetown is an area of land locally known as 'God's Acre', is the venue for the ancient St. James Parish Church - a famous religious Barbados attraction. The Church was originally built by British Setters, first from wood and then from stone as the wild weather and storms would repeatedly destroy it. Tours are conducted daily and are well worth taking. Inside the Church are beautifully preserved artefacts and monuments that will thrill historians. See the Old Church Bell which carries the inscription 'God Bless King William 1696'. The pulpit is crafted from local mahogany. The massive organ was built by an English company called Hill & Son at a cost of 320 pounds and arrived in 1876. There are many other beautiful sculptures, wall murals and crucifixes to be admired. The stained glass windows are truly awe-inspiring. 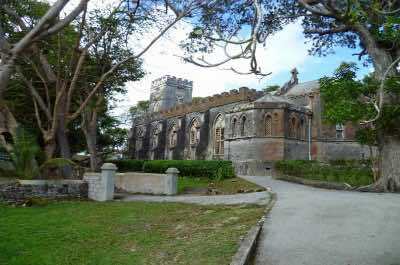 After the tour, stay on and take part in a service in this ancient Church on the exotic Barbados. If you enjoy tropical gardens, then the Flower Forest is another fabulous Barbados attraction. The forest is set on a hillside with stunning views over the island and ocean. You can walk around and enjoy the magnificent array of flora and fauna. You will be given a map of the footpaths which are clearly marked. Some of the routes are wheelchair friendly. Lovely photos on the map make it fun to try to identify the different plants you come across and there are also identification signs along the route. The forest also offers a variety of wild life. Spot the monkeys, humming birds and maybe even a mongoose. This is a beautiful venue, offering a magical experience! If you get tired, relax on one of the many benches dotted around the gardens. A lovely restaurant offers high quality food, so include a delicious lunch as part of your visit to this Barbados attraction. People may not think of a garden when looking for Barbados attractions. But you will be enchanted. Barbados has a number of stunningly beautiful gardens that demand a visit. Hunte's Gardens was created by Anthony Hunte. It was originally a sink hole and was transformed into one of the most magnificent areas on the island. Today, it consists of 2.5 acres of beautiful tropical gardens. Wander around the magnificent landscaped gardens and enjoy the abundance of flora and fauna. There are benches dotted around so you can relax and soak up the atmosphere. Soft classical music is piped around the gardens adding to the ambiance. Umbrellas are offered or bring your own, this is after all a tropical Barbados attraction and you may get wet! At the end of your stroll around you may very well meet Anthony Hunte himself, who takes time to talk to visitors and personally serve you with some famous signature Island Rum. He loves telling stories and answering your questions about this amazing passion of his on Barbados. Something many people don't know is that George Washington visited Barbados in 1751 and spent two months here. A trip to his historic house is one of the thrilling adventures in Barbados. 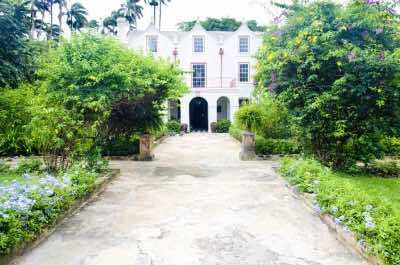 The George Washington House belongs to the Barbados National Trust and is preserved to showcase life as it was more than 250 years ago. Start your explorations on the ground floor where you will see the bedroom with a massive four poster bed and mosquito netting. Beautiful chairs, marble topped tables and a variety of cutlery and crockery is also on display. The second floor holds displays of items typically used in the mid 18th century. Listen to the audio aids and watch the visuals to get a fabulous insight. Slavery was rife at the time of George Washington's visit and there is a macabre collection of manacles, chains and barbed-neck collars - this Barbados attraction is not for the faint hearted! 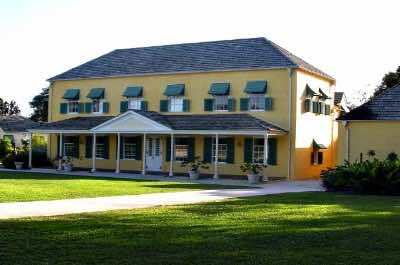 Exploring a stately plantation house is a Barbados attraction that must be on your list. Sunbury House, one of the best local Barbados points of interest is a massive mansion dating from the 1660's that showcases the luxurious conditions under which the elite lived. All the rooms are open to the public and you can walk around and admire the stunning period furniture, the priceless antiques and works of art. A 200 year old banquet table made from solid Barbadian wood will leave you breathless and if you really want to experience the full ambience, join a dinner hosted by the Museum. After your meal, take a stroll and admire the stunning collection of horse-drawn carriages. Photos are a must! Viewing the Island's wild and uniquely desolate eastern shore is the next Barbados attraction. 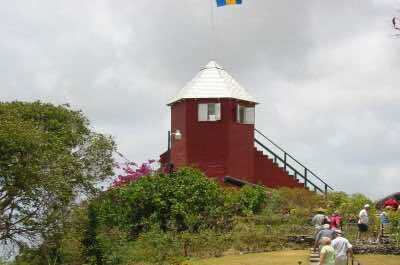 The place to do this is Cherry Tree Hill, an 850 foot high outlook located in the grounds of St Nicholas Abbey. History says that the long winding road up to the top of hill was once lined with hundreds of Cherry Trees, hence the name. Today the route is planted with massive mahogany trees that form an exotic canopy as you drive along. Visit with a tour or do the drive on your own. It is the perfect place to soak up the atmosphere and view the Scotland District before setting off for a night on the town! 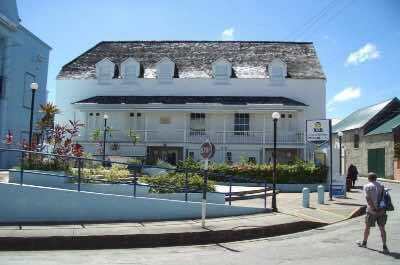 The Bridgetown Museum is one of the great Barbados attractions. 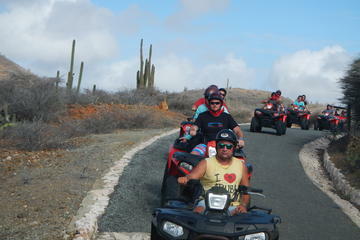 Join a tour and learn about the history and culture of the Island. The Museum is located in an early 19th century military prison and offers modern interactive displays going as far back as the indigenous tribes. The Museum was once a school known as the Harrison Free School. Learn about the trade and financial aspects of Bridgetown and the history of Free Masonry which was started in Barbados by Alexander Irvine in 1740. Your knowledgeable guide will keep you enthralled, making this a morning well spent! A huge white lion on a hill is the next Barbados attraction to visit. Gun Hill Signal Station was built in 1818 as one of a series of military outposts to signal the approach of enemy ships and aid in the safe arrival of cargo. Built to accommodate two men, they could issue hurricane warnings and signal to other stations through the slits in the walls. Set high on a hill neat St George, the Signal Station offers panoramic views as well as fascinating history. This Heritage Site is marked by a coral stone lion that stand seven feet high and was carved by Captain Henry Wilkinson in 1866. Nature lovers must walk through the magnificent landscaped gardens and admire the abundance of flower species. 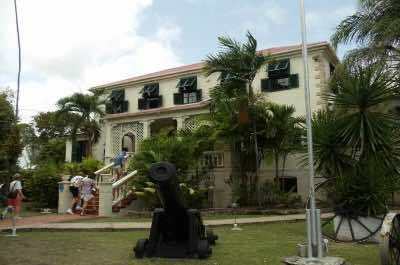 Enthralling for the whole family, the Historic Garrison is the next Barbados attraction to be explored. One of the largest in the British Colonies, it offers a fascinating insight into both the military and cultural history of the Island. Today it houses the Defence Force and watching the changing of the guards is a must! The Garrison began with the building of St Ann's Fort in 1705 and expanded from there. Take a tour with a knowledgeable guide and learn about the living conditions of the men stationed there, the escape tunnels and the story of Sir Isaac Brock's dual. The night tour is also recommended to get a different perspective! 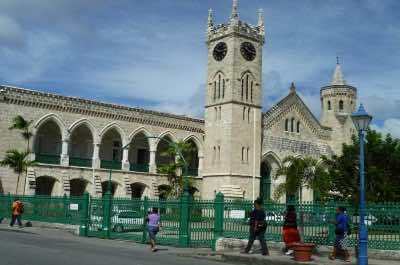 The famous Parliament Buildings are located in Bridgetown on the north side of the town's central square. They contain public offices as well as the Senate and House of Assembly. They were built in 1870 and offer a classic white, imposing neo-Gothic style that will delight historians. These buildings were designated as a Unesco Heritage Site in 2011. See the famous Clock Tower with the flag flying above it, admire the beautiful stained glass windows and stroll through the National Heroes Gallery. In December, the building is lit up in a spectacular display of the National colors. This is a not-to-be-missed Barbados attraction. Photo by Charlie Dave on Flickr. 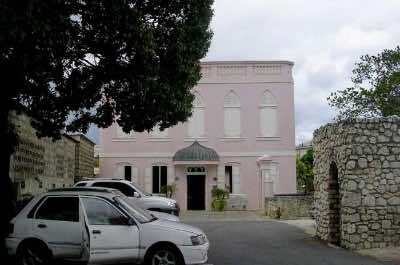 There is only one Synagogue in Bridgetown and it makes a fascinating Barbados attraction. It was built in 1654 and destroyed by a hurricane in 1831. After falling into disrepair, the Jewish community restored it to its former glory and it is now a protected building. Take a tour and learn how Jewish people who were persecuted by the Dutch in Brazil, fled to Barbados and settled here. They brought with them skills in the sugar industry and had a great influence on making the Island one of the most renowned sugar producers in the world. For more history, visit the wonderful Nidhe Israel Museum located next to the Synagogue. If you want to learn about Barbados, its history and culture, a visit to the Barbados Museum and Historical Society is the next Barbados attraction and one of the top Barbados points of interest that makes for a great day outing. The Museum is found at the Garrison and is located in the old British Military Prison. There is something for everyone here. Start with the natural history display where you will learn about the coral structure of the Island. See the artefacts of the Amerindians, the earliest inhabitants. Children will love the Gallery called 'Yesterday's Children' offering an educational tour into the past. See a rare collection of historic maps and stroll through the massive library. End your day with a traditional Bajan meal, discussing all you have learnt about this fascinating country. An ancient Church set in a breathtaking location makes a fabulous Barbados attraction. The St John's Parish Church offers panoramic views over the Island and ocean and is also a place to reflect and join in a prayer service. 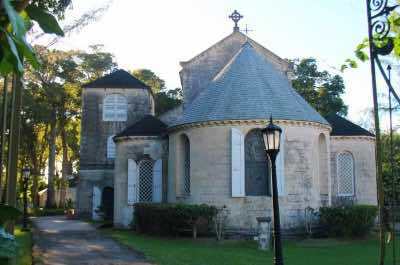 The Church was first constructed in 1645 and is one of the oldest in Barbados. It was originally built of wood and was destroyed by a fire in 1660. Although the rebuilding was done in stone, the Church was destroyed for a second time by the infamous hurricane of 1675 and again in 1780. Today the Gothic-style building makes an imposing sight and the ambience inside will send shivers down your spine. Visit with a tour to learn more about its rich history. 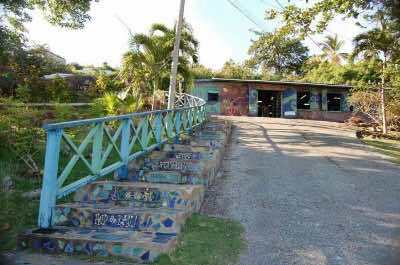 If you love to create beautiful things with your hands, the stunning Earthworks Pottery venue is a Barbados attraction that will leave you with lifetime memories. What started as a small art studio in St Thomas, has grown into an iconic business with a world wide reputation. See how the classic pottery is made, learn about the traditions and admire the exclusive lines of dinner ware and serving pieces. Watch a fascinating video, stroll around and then buy a special piece to take home! This unique, high quality item will become an heirloom to be passed down from generation to generation as a reminder of your vacation on Barbados! 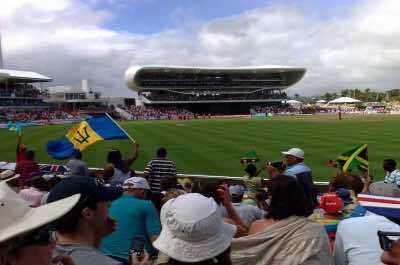 Cricket and sports lovers will be thrilled to visit a famous Barbados attraction, the Kensington Oval. This iconic venue is located west of Bridgetown and is one of the most famous grounds in West Indies Cricket. Known as 'The Mecca' of cricket, it has been used for both local and International matches for over 120 years. Take a tour and learn all about this amazing venue, its history and cultural impact on the Island. If you are lucky enough, book tickets for a game! Make sure you get a selfie next to the statue of Sir Garfield Sobers, a massive 20 foot tall monument, weighing 1.5 tons. Don't leave Barbados without loads of gifts for the friends and family at home. The Best of Barbados Gift shop is an iconic Barbados attraction. This family run business has five shops on the Island and offers an array of fun, colorful and traditional items. The business was founded in 1975 by famous artist Jill Walker, who had a vision of 'Shopping for Sunshine'! Watch a video on the screen printing process that is used to add a burst of color to these local Caribbean treasures. Choose a coffee mug, a shirt or a table mat to remind you of the Island vibe!